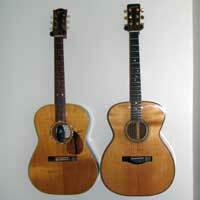 About Our Company, Fret Not Guitar Repair Inc. I opened Fret Not April of 1998, shortly after the closing of Isle of Wight Instruments in Smithfield Virginia where I apprenticed with the late Bill Colgan and his staff of luthiers. 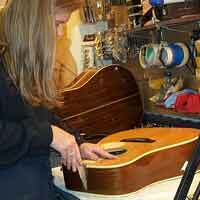 For nearly 15 years I have been repairing fretted instruments for local pickers, recording musicians and clients throughout the U.S. and abroad. My resume and references include major guitar factories (C.F. 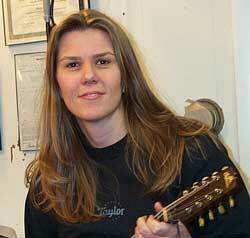 Martin, Fender Musical Instruments, Taylor Guitar, Gibson), local music shops and repair people. My articles have appeared in printed publications and internet websites. I began struggling with health issues in late 2011 and was forced to cease working completely in early 2012. I appreciate the tremendous support I received throughout the life of my business and the kind words spoken about me. I believe my clients and those who know me are well aware of how much I enjoyed my work and serving my clients. but enjoy repair far more.